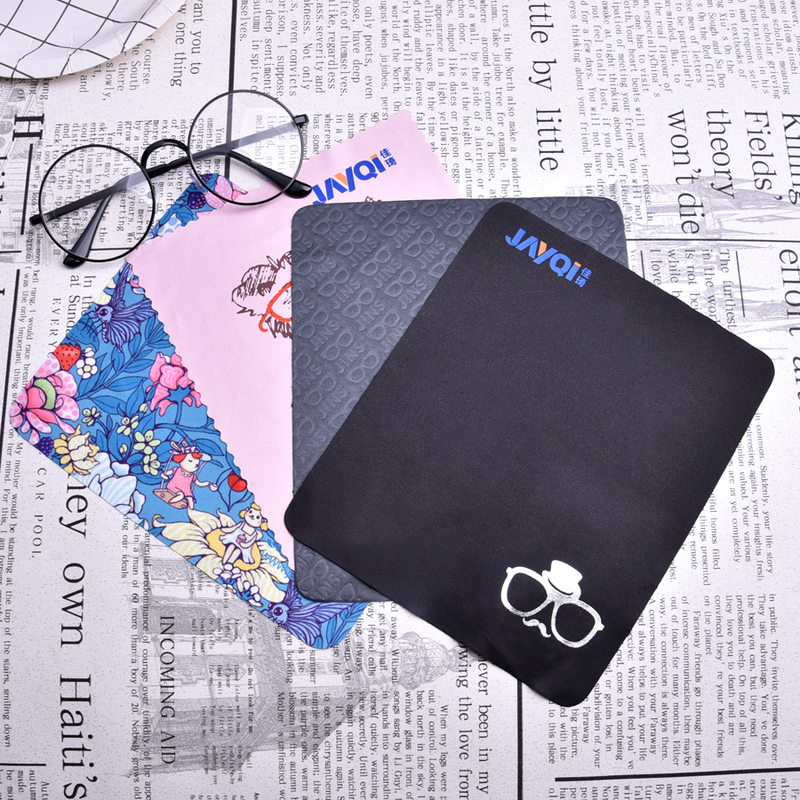 Glasses Cleaning Cloth in Stock is super water absorbility and anti-static. Soft touch,comfortable and very durable. It can remove dust, oil in few seconds.Use it anywhere anytime: washing, cleaning, dusting, wiping. It will provide you a simple, safe ,fast method of cleaning.Perfect cleaning for the glasses,camera,computer,jewelry,watch and so on. 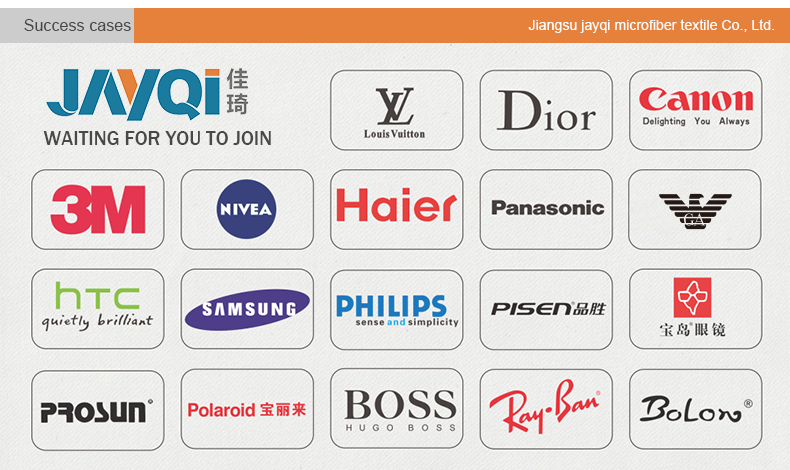 Danyang Jiaqi Microfiber Textile Co., Ltd. is located in the earliest and largest production base of glasses - Danyang City,Jiangsu Province Economic Development Zone,The factory is located near the Shanghai-Nanjing Expressway, Nanjing airport, Changzhou Airport, convenient transportation and quick. 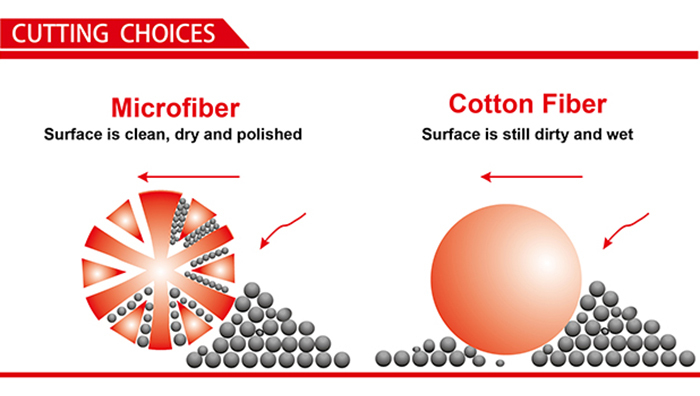 Contact us if you need more details on Glasses Cleaning Cloth. We are ready to answer your questions on packaging, logistics, certification or any other aspects about Screen Printing Glasses Cleaning Cloth、Glasses Cleaning Cloth in Stock. If these products fail to match your need, please contact us and we would like to provide relevant information.